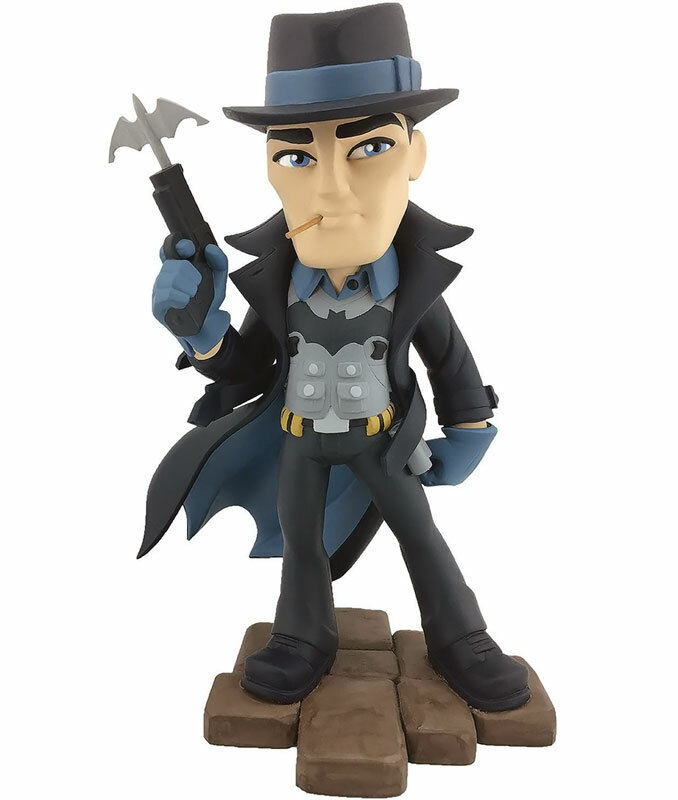 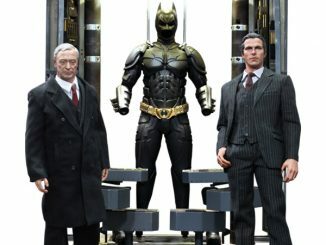 Bruce Wayne trades his cowl for a stylish fedora and his cape for a trench coat with the DC Bombshells Batman Vinyl Figure. 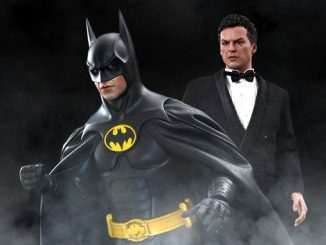 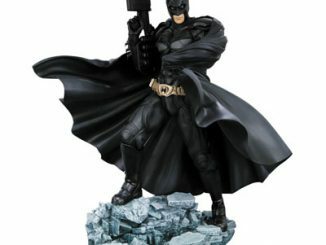 Inspired by the DC Bombshells variant cover for the Batman comic book series by Ant Lucia, this approximately 8-inch tall statue features Batman as a 1940s private eye; a private eye who likes grappling guns and vests with bat logos on them. 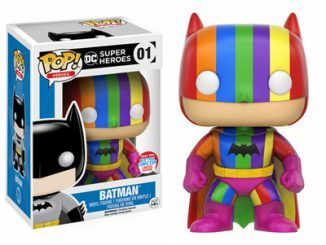 Coming April 2018. 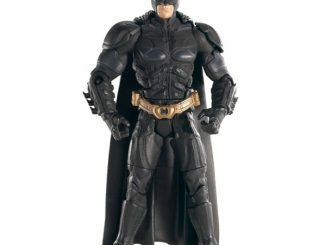 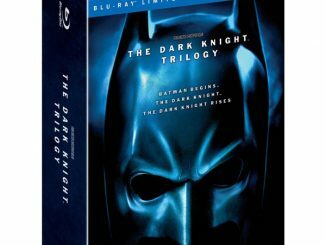 Preorder now for $29.99 at Entertainment Earth. 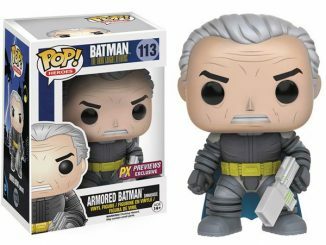 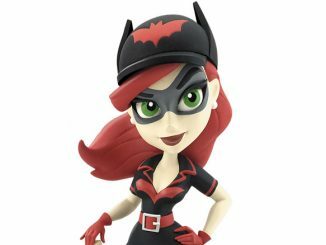 While the Dark Knight is the first guy to enter the DC Bombshells vinyl figure collection, he’s not the first guy to enter the collectible Bombshells universe. 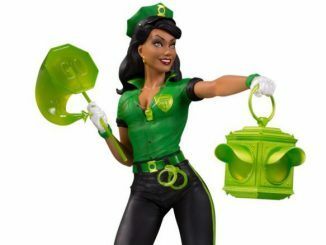 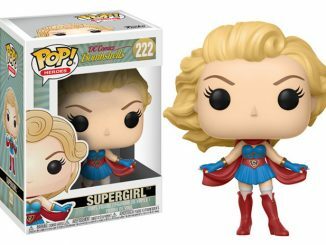 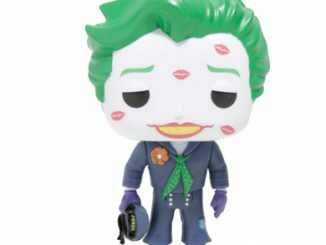 Two other familiar men have made their pin-up presence known with the DC Bombshells Aquaman Statue and the DC Comics Bombshells Power Girl and Superman Statue.